What exactly is being clean? Is it just the visual removal of external dirt or does it go deeper. Should it go deeper? Unless you live in a bubble you are exposed to dirt, toxins, pollutants, pathogens, etc., every day and all day long. It is a gift from modern society. The challenge is how to clean ourselves effectively. If there is a safe, healthy, protective way to clean yourself and your environment would you be interested? I know I am, and I have found just such an item. 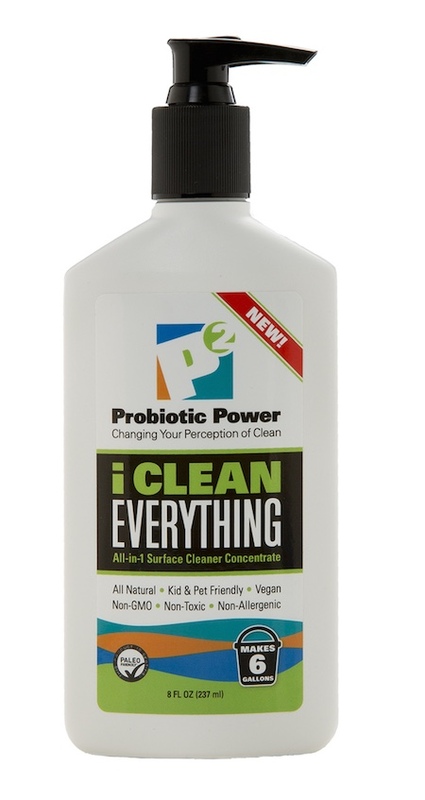 The P2 Probiotic Power line of cleaning products is unlike anything else I have used. If you want to jump right in, click this link http://p2probioticpower.com/#_l_20. Otherwise, keep reading and then give them a visit. What sets the P2 Products apart is their use of probiotic strains (good bacteria) and their ability to breakdown biofilm (from bad bacteria) without relying on harmful Triclosan, Sodium Laurel Sulfate and Alcohol. Biofilm is present on just about all surfaces and within biofilm you will find fungus, bacteria, viruses, mildew and molds. If you can break down the biofilm you can actually create a clean environment and say goodbye to superbugs such as E. coli, Salmonella, Staph and even MRSA. It is one thing to appear clean, it is another to actually be clean and P2 Probiotic literally passed the tests. Find me another product which is…. It’s not everyday that a product appears to actually live up to its hype. When I find one, I want to let everyone know about it. I did that with The Dirt (http://thedirt.refr.cc/K7QJKFP) and here is another example. Check out P2 Probiotic Power (click this link http://p2probioticpower.com/#_l_20 ) and give it a try. I don’t believe you will be disappointed and I am looking forward to receiving my second order, the P2 Complete Body Care Kit. Let me know what you think after you discover what clean really is! !